Male Vorgon criminal from the future. Aims to steal artifacts with partner Ajur. 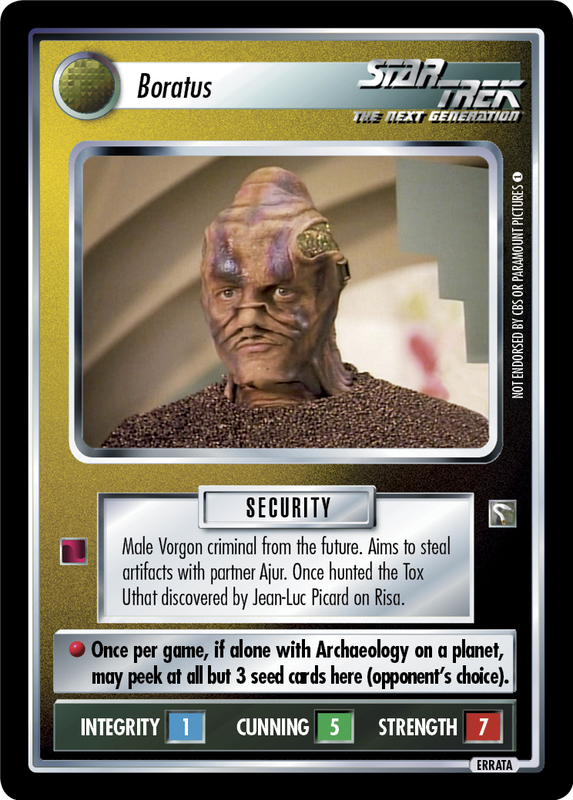 Once hunted the Tox Uthat discovered by Jean-Luc Picard on Risa.